Nashville, TN – The 2018 Status of Suicide in Tennessee provides state legislators, mental health professionals, and the general public with information on the problem of suicide in our state and what is being done to prevent it. 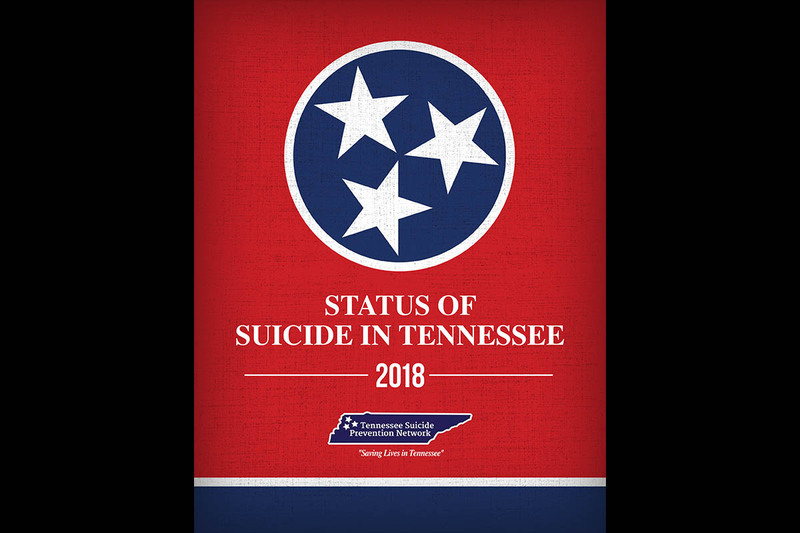 Each year’s edition includes a detailed report on suicide trends within Tennessee, both overall and for various subgroups, featuring the latest statistics available from the Tennessee Department of Health and the Centers for Disease Control and Prevention. Suicide trends highlighting the recent release of the 2016 statistics are discussed, broken down by age, race, gender, and geography. Statistics highlighted in the report feature the increase suicides among young people (ages 10-18) in Tennessee, with one person in this age group lost to suicide every week. We lose one person between the ages of 10-24 every four days, and every day we lose at least one person over the age of 45, with adults in midlife and older adults remaining at higher risk. 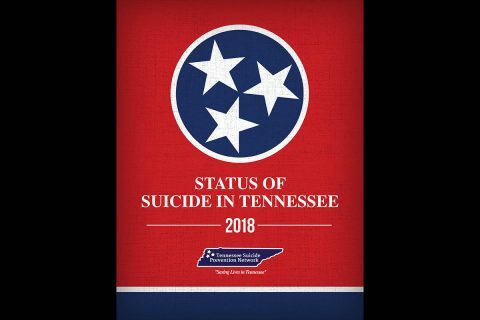 The Tennessee Department of Health’s Office of Health Statistics reports there were 1,110 recorded suicide deaths in Tennessee in 2016, up from 1,065 the past year (representing a 4% increase). The crude suicide rate went up from 15.6 to 16.2 per 100,000 (representing a 4% increase.) Firearms remain the most common means of suicide death in Tennessee, accounting for 677, or 61%, of the recorded suicide deaths in 2016. 222, or 20% of the deaths, were hangings or suffocations and 144, or 13% of the deaths, were poisonings or overdoses. Whites account for 79% of the general population of Tennessee but 91% of the suicide deaths. Males are also disproportionately represented, making up 49% of the population but 77% (857) of the suicide deaths recorded in 2016. “The Suicide Prevention Act of 2018” is a bill currently in review in the Tennessee Legislature to support. Under the bill, a team would review existing programs and resources and identify opportunities to improve data collection and analysis and program. Recommendations would be made to the general assembly by June 2020. More information about TSPN is available at the agency website (www.tspn.org). TSPN is the statewide public-private organization responsible for implementing the Tennessee Strategy for Suicide Prevention. TSPN and its volunteers work across the state to organize activities & projects promoting suicide prevention awareness, providing suicide prevention & crisis intervention training to community organizations, and conducting postvention sessions for schools & organizations after suicides occur.